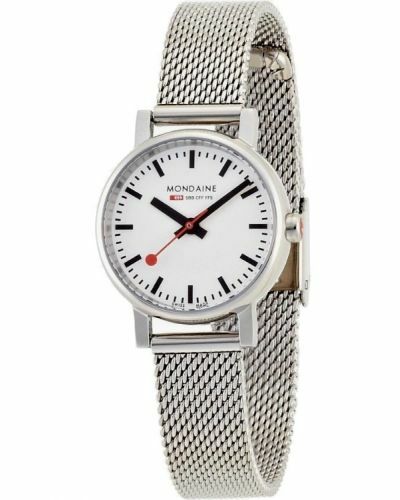 This beautiful women's watch is brought to you by renowned Swiss watch makers Mondaine as part of their Evo Petite collection. 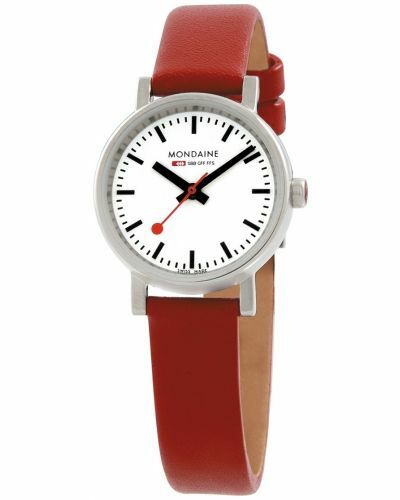 Bringing both form and function together this stunning Mondaine watch features a 26mm round stainless steel case in which fits neatly with the black leather strap to maintain the traditional design. 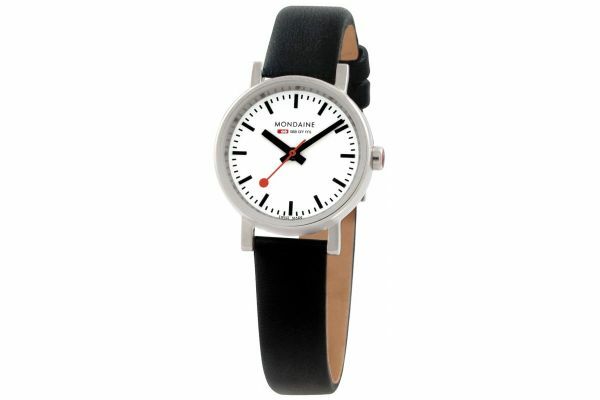 With it's crisp white dial and prominent bold markings, it is easy to read and easily visible. Featuring a slightly domed mineral glass and powered by Swiss made Quartz movement this lovely petite watch is water resistant up to 30 meters. For us to size your new Mondaine Evo petite watch as accurately as possible, please take a look at our downloadable Watch Sizing Guide.